MiGo is the premium brand of Team-Tex. With its premium brand MiGo, Team-Tex intends to enter the high-end segment of children car seats with exceptional safety features. With modern collection, high quality materials and superior designs, MiGo combine safety, creativity and comfort. The MiGo brand is offered exclusively in specialty stores. With the new concept Neoshop by MiGo, we will allow you to place your orders directly to the factory from an interactive terminal located in selected specialty stores. Neoshop was created as a marketing statement and tool to impose changes of habits and attitudes towards the way we market and sell our products. The solution we bring to consumers with Neoshop® is that of a complete offer mix; advice, visualization and touching of the products, with interactivity and variety that the website brings. 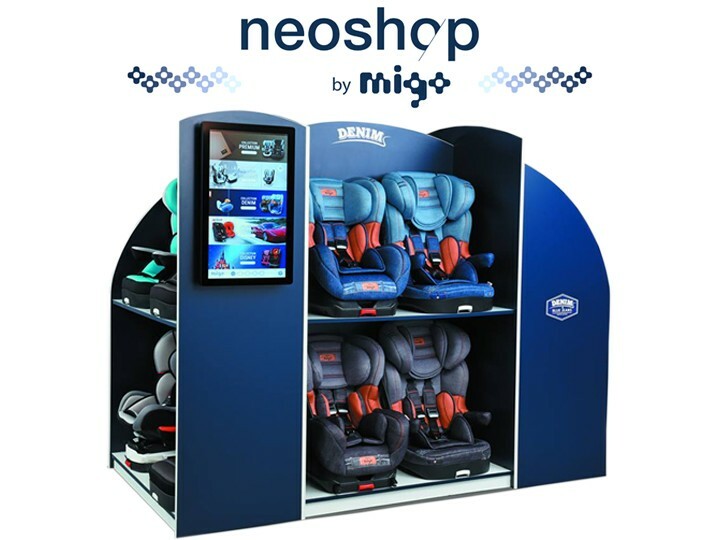 The Neoshop by MiGo conept is an ecommerce application and also a website “babyneoshop.com” where you will find our MiGo exclusive car seats collections. MiGo is a French luxury brand name of the French company, Team-Tex. Car seats are designed in our headquarters in France and are being tested under very strict conditions. Equipped with our own laboratory for crash testing, we make sure to offer products that comply with all relevant regulations and provide maximum safety. The MiGo line of car seats combines safety, comfort and unique technical features. MiGo is also a marketing concept; “Neoshop by Migo” is an e-commerce application that we developed allowing customers to access a wide range of products online or in stores. It allow potential customers the possibility to visualize, touch and feel the products and also to get advice from store’ experts about the car seats. This unique concept is currently available in 50 specialty stores both in France and Italy and the store count continue to grow. This entire concept is also available online in Babyneoshop.com. 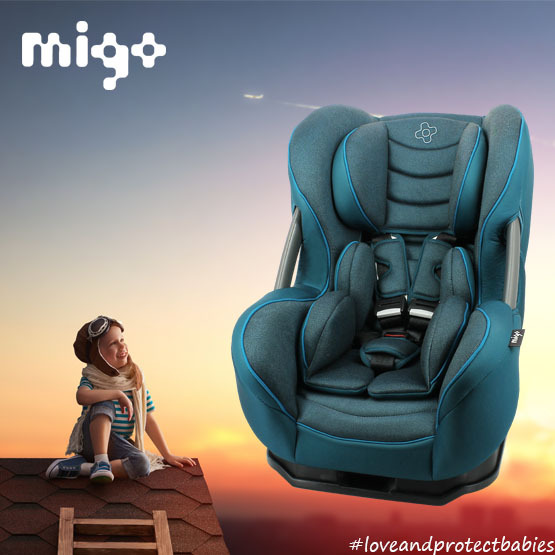 The MiGo brand offer some car seats that meet the new European standard R129 i‐Size regulation. It offers ISOFIX car seats with direct connection to the car’s ISOFIX anchorage and deep, protective shell with side impact protection. The Eris and Primo car seats are the first two i-Size car seats of the MiGo brand.